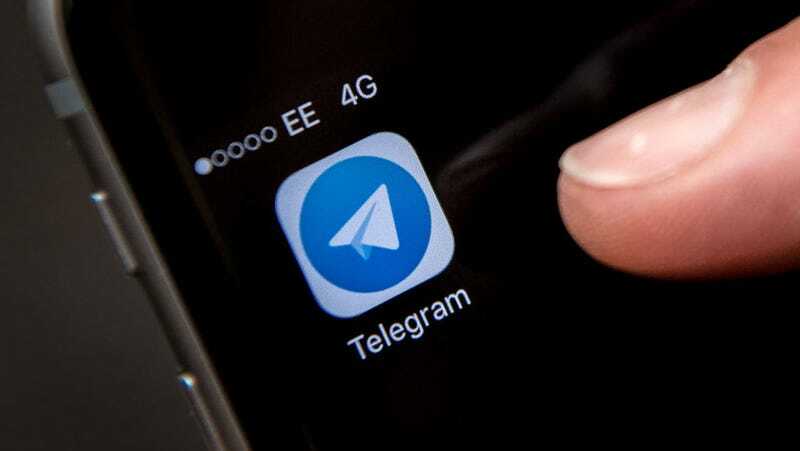 Since Russia banned the Telegram messaging app, the government has embarked on a campaign of hitting itself in the face. The functionality of the Russian internet has been hobbled for two weeks as regulators wildly block IP addresses, and on Thursday a Kremlin spokesperson admitted he still uses Telegram. “It works for me, and there’s nothing to it,” he said. Two weeks ago, Telegram was officially blocked in Russia for refusing to comply with a law requiring web services to hand over encryption keys to the government. Telegram argued that it can’t provide the keys, even if it wanted to, because they’re generated locally on users’ devices. Telegram founder Pavel Durov has had a contentious relationship with authorities in his home country for a long time, and he quickly implemented a workaround plan that involved using major cloud services by the likes of Amazon and Google to continue to serve users. So far, it’s worked, but Russian ISPs keep trying to block the new IPs and end up screwing up all kinds of online activity. According to the Moscow Times, “Ordinary Russians experienced major disruptions with online payments, games, even so-called ‘smart homes’ while Telegram lost an estimated 3 percent of its Russian audience.” Major services like YouTube, Gmail, the web version of Google Play, Google Drive, and reCAPTCHA have accidentally made their way into the crosshairs of authorities. Roskomnadzor, the agency in charge of enforcement, has blamed the Google outages on “problems with the traffic filtering systems operated by Russian Internet providers.” According to a site set up by Russian activists to track the blockages, almost 18 million IPs are being affected. The council believes that Roskomnadzor, and not particular Internet providers, is fully responsible for the current situation. [...] The disruption of scientific work throughout the country is too high a price to pay for a clumsy attempt to enforce a court ruling against a single company. Business owners, small and large, have reported significant disruptions to their operations. On day 10 of having its website blocked, a children’s bookstore named Marshak Books opened its own Telegram channel for the first time, just so it could communicate with customers.